There are some amazing Christian Living New Releases that have come out over the past few weeks. All of them will make great gifts or will be the perfect addition to your wishlist. Here is a a few of them that are on my wish list and a search page to look for others. You’ve heard that “all things work together for good” countless times. So why do you still feel so unfulfilled? Taken in its full context, Romans 8:28 contains a beautiful promise for you. The key to making this real, is to love God and live life according to His purpose, not yours.Let these heartfelt devotions from Dr. Tony Evans draw you closer to God, encourage you to submit to His will, and trust Him to shape your God-appointed destiny. Discover the unparalleled joy of living a life of purpose through Jesus Christ! Our enemy may prowl like a lion, but his weapon of choice is deception. And too often, men believe him – causing pain, destroying relationships, and missing out on the life God intends. In Lies Men Believe, Robert Wolgemuth exposes some of the most common lies and explains how they hold you back from freedom, joy, and intimacy with the Lord and others. Foreword by Patrick Morley. In her book, Healing the Soul of a Woman, Joyce Meyer shows women how Christ’s redeeming love can heal emotional wounds and bring joy into their lives. She shares her personal story of overcoming pain and delves into the journey all women can take to overcome their hurt and heal.Each chapter guides you through whatever obstacles may be holding you back from finding your true identity as God’s beloved daughter. Nothing lifts us out of fear and weariness like hope. An anchor through life’s storms, hope buoys our spirits and seeks to make a way when we face tough times. After 40 years of ministry and speaking to hurt hearts, Max Lucado has learned that the promises of God will give you the strength you need. Each chapter in Unshakable Hope explores one Biblical promise that will help equip you to face every day with courage. Includes reflection questions for individual or group study. 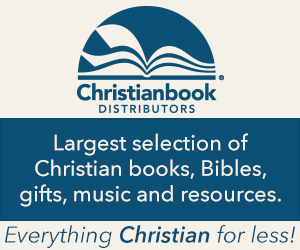 Christian Living New Releases to find the perfect gift. You might even be looking for your next book to read or one for your wish list! Either way, this list is sure to be a great resource for you. Christian Living is a book category where you learn how to put the principles of the Bible into practice. There is a topic for anything that you might be looking for such as growing your relationship with God, Spiritual Warfare and more. To find some a guide for Christian Fiction check out our Christian Fiction Christmas Gift Guide.